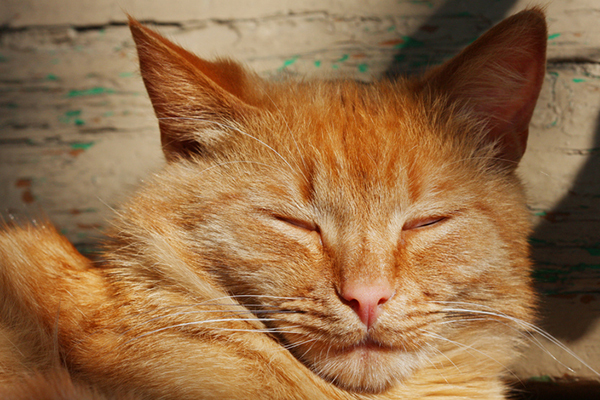 What's the difference between a cat slow blink and a regular blink? How do you get your cat to slow blink at you and can you return this cat affection? 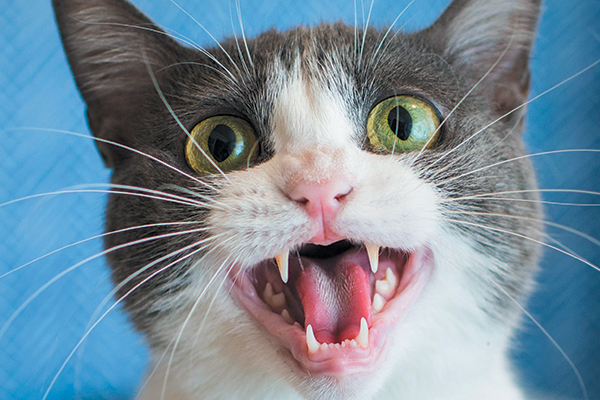 Sometimes, a meow isn't just a meow – not all cat meow sounds are the same! 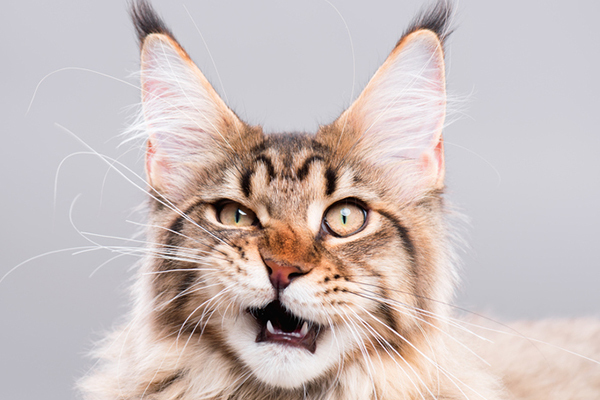 Let’s take a look at six different cat meow sounds and the meanings behind each. 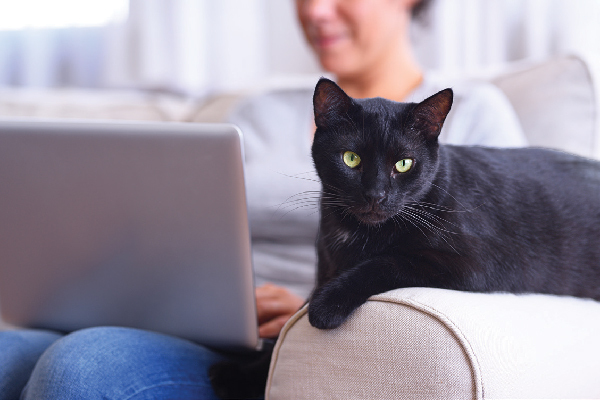 Cat behavior problems are incredibly common and there’s always a way to fix them with the right knowledge and help from pros like vets and behaviorists. 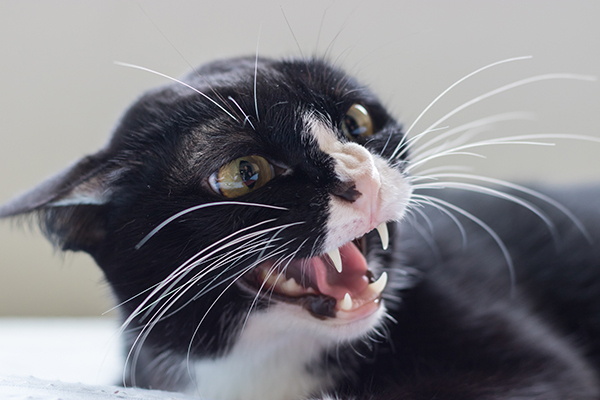 Kitten suckling can be a sign of stress, compulsive behavior, or even just happiness or contentment — so why do cats and kittens suckle? Should you worry? Ever thought, "Why does my cat wake me up at the same time?" 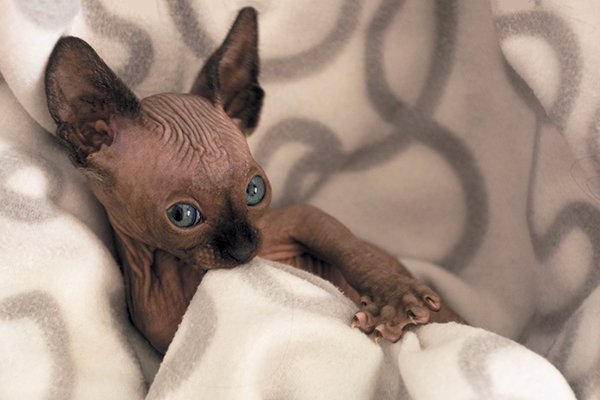 If you've said, "My cat wakes me up at the same time every day," you're not alone. Here's why. Is It Better to Have Two Cats (or More!)? Contrary to behavior myths about being loners, most cats do well with other cats. 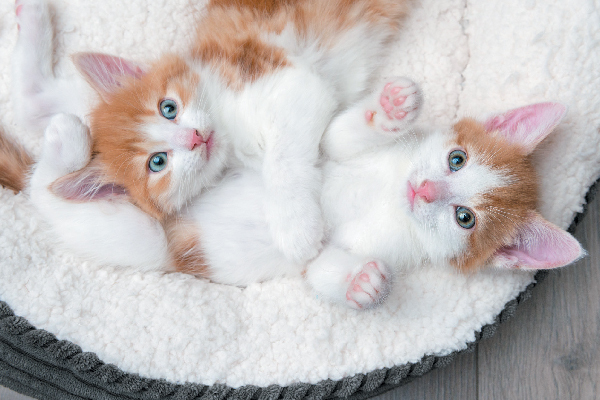 Here are reasons why and tips for adopting two cats or more! Does your cat love you even if she isn't a lap cat? And why are some cats lap cats while others avoid lap snuggles at all costs? 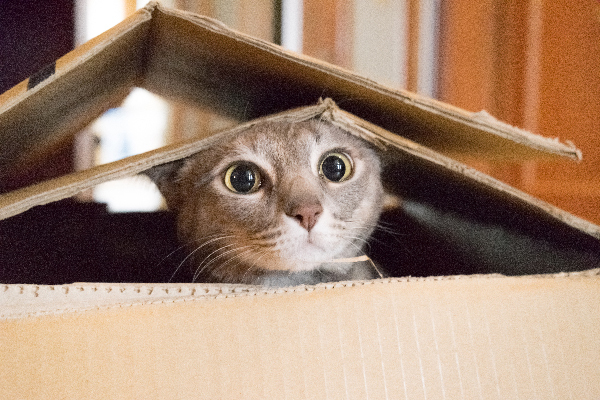 Let’s answer an age-old question — Why do cats like boxes? Do cats prefer certain types of boxes? What boxes should cats avoid? Do big cats like boxes, too? Do cats cry? 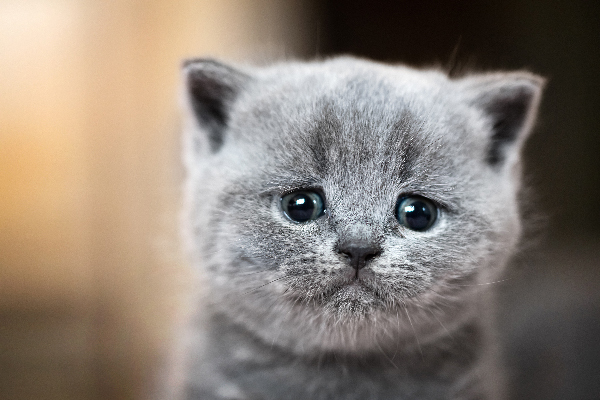 If cats cry, is it the teary-eyed crying that we humans experience or something else? Let’s talk about cat crying and how to help a crying cat. Cat pupils do more than respond to light. Discover how your cat’s pupils are the keys to her mood — and can even tell you if you need to see a vet ASAP.